I first travelled with Francie Sugar when she was only 4 weeks old. Leading up to the trip away I started to get nervous, at 3 weeks I was ready to cancel, at 4 weeks, I was so excited! And it was fantastic. (Here are the family pics if you would like to see). I travelled again with Francie Sugar when she just turned 4 months old, again it was fantastic to get out of the city and have a change of scenery. We’re off again this weekend. 1. It’s all about the wrap. I used my NooNoo Pie wrap for both trips and it made travelling a breeze. Francie slept peacefully on the Gautrain and at the airport, while at the same time my hands were free for tickets, smoothies and nappy bags. 2. Timing is key. Don’t worry if you are at the airport 3 hours before you are supposed to be, time your journey to make it easiest for you. I planned my timing so that I would feed once I had checked through – ensuring I didn’t have a screaming baby while trying to check in, or unpacking my iPad at security. And I made sure that I had enough time to get her to sleep before we boarded so that she barely noticed all the changes from airport to bus to plane. 3. Less is more. Take as little as possible with you, or load your husband up. I kept the contents of my nappy bag to a minimum. I had my “on-the-go nanny kit” and a change of clothes for Francie and that’s pretty much it. The last thing you need is things falling out your bag, your bag being too heavy or unable to find that towel/nappy/distraction rattle when you need it. 4. 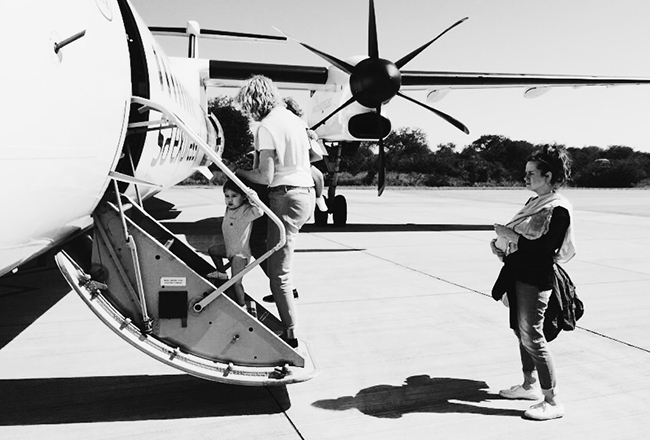 Give up on all pre-baby travel habits like airport coffees, magazine buying or the like. I still hit Kauai for a smoothie but seriously? When would I read a magazine anyway. Same with refreshments on the plane – make sure you have eaten before you take off. You don’t need to be keeping a baby entertained/asleep and still trying to eat your airplane peanuts. 5. Forget about those around you. Yes, a crying baby is not the happiest sound but I guarantee you it’s the worst for the mama and what makes it even worst if you are self-conscious and stressed out about the crying. No baby died of crying and no one died from hearing a baby cry. Other passengers may offer you advice, again this makes this things worse. Remember that you know your babe so you know what it needs be it sleep, kisses or a feed. A babies’ ears can block up so I fed Francie Sugar during take off and landing but if your baby takes a dummy I would suggest having that on hand too. 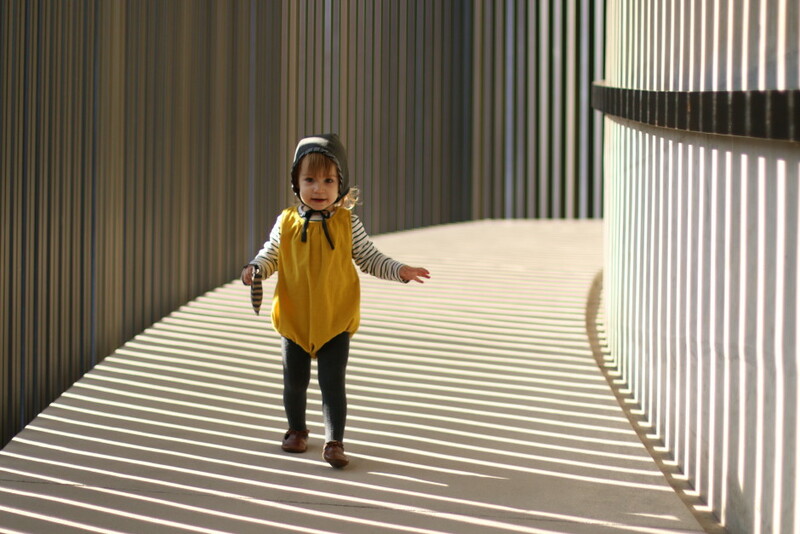 When I came to sorting out my nursery I realised that I had so many blankets for my babe – not surprising, I love piles of blankets in my home so why would my baby’s room be any different. Little did I know I would use them all! When it’s nap time for Francie Sugar she uses a total of 5 blankets at least! (Don’t worry they are not all for warmth – one for swaddling, one for tucking in, one for warm, one rolled up to act like a wedge and one to cover the pram!) So basically, if you ask me, you can never have too many blankets for your babe. We’re excited to have partnered with Rock a Baby (South Africa’s most beautiful baby fair) to meet some super creative people who are making beautiful products for kids, babes and mama. These vendors will be at the fair on 27 September (diarise it now). We’d like to introduce you to Chantelle, who describes herself as, ” a wife and mother to Addison and Max, Jesus follower, designer and tailor. 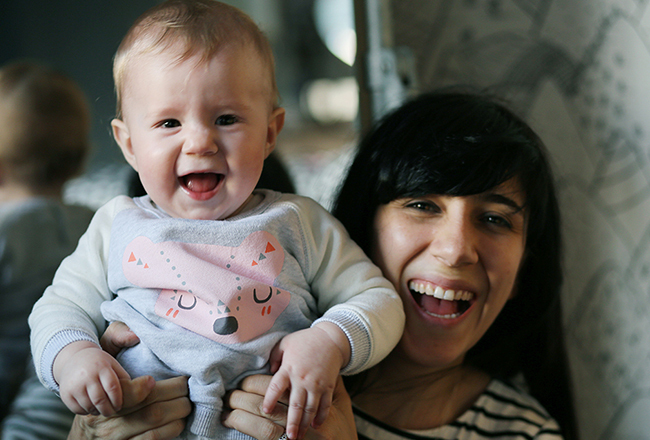 Chantelle is also the owner of super cute baby clothing brand La Fede. La Fede is a range of clothing, accessories and decor. Locally designed and lovingly handmade (we love that!). We aim to provide an affordable range of basics for the season, and extra special statement items as add ons. I worked in corporate for 10 plus years, longing to fulfil my creative side, I dreamt of having a shop that sold anything creative. The company I was employed by struggled in the recession and I found myself out of work. Faced with a saturated job market I was challenged to take a leap of faith and start La Fede. Fede means faith in Italian. I am inspired by the beauty of Italy, especially the architecture. La Fede is a business that is built on faith as the foundation. How does your business fit your lifestyle. Being a mom of 2, my business fits in so well, as I am not bound by normal office hours. I can spend time with my kids and draw inspiration from them. They are happy to have their mom at home and I am happy to work and be a full time mom. Subtle Dots by La Fede is a signature Jacket in my range. Wings by La Fede – gorgeous Suede Angel wings paired with a hand beaded crown and suede shooshoo shorties. 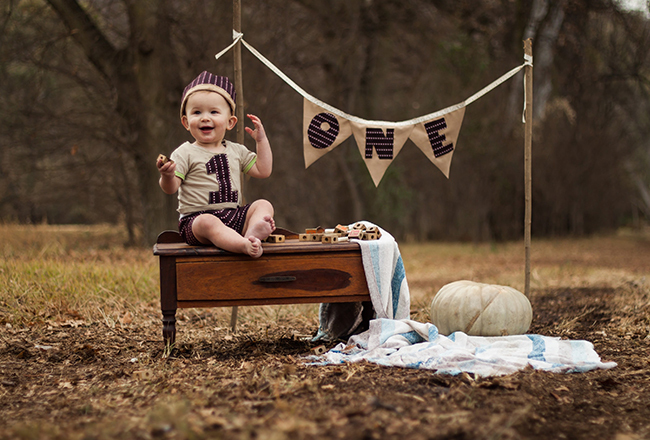 “I Am One” range- complete outfit with a handmade crown keepsake and “One” flag bunting. La Fede is offering all Kimmy & Bear readers 10 % of your purchase when quoting KIMMBRAB promo code. Valid until 30 Sept 2015. Also see La Fede at Rock a Baby on 27 September. We are excited to introduce to you our new series on Kimmy & Bear which is all about mamas who work for themselves while juggling the demands of mamahood. First up is Angie, you first met Angie on Kimmy & Bear in our Meet the Bump series and now baby Nina James is already one! Angie is a mama, as well as owning two restaurants (Mr Big Stuff Diner/Takeout joint and Good Luck Club 2 in Emmarentica), she also runs three blogs, Lucky Pony (her personal/lifestyle blog), Tiny Pony (her baby blog) and Jobs (travel/review site). And as if that wasn’t enough, Angie also runs a small online content creation company called Golden. Talk about being a busy mama! I keep my own hours but I do work every day, not including weekends. I don’t have set hours, which is why I love being my own boss. I have a lovely lady named Maggie who helps me out with Nina James. 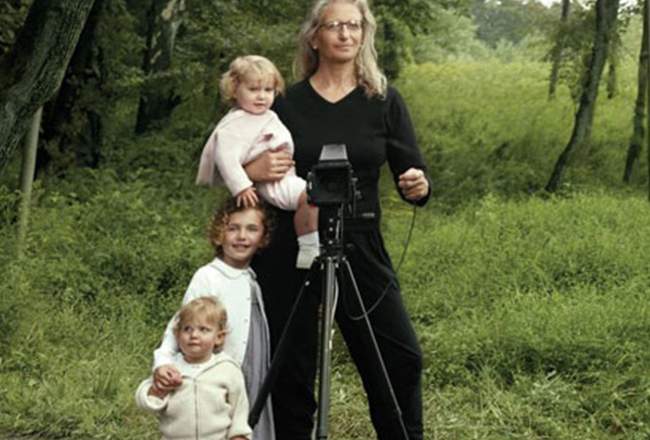 I was against having a nanny in the beginning and only agreed to get one when Nina was about 9 months old. We didn’t have a choice because both Shane and I started getting really busy and trying to juggle childcare between the two of us was just not working. When do you typically hang out with Nina James? I hang out with her every morning for a couple of hours and then sporadically during the day, depending on what I have on. Maggie leaves at 4pm and then I play with Nina James until it’s time to bath, feed and put her down. Shane and I take turns doing this so she gets individual attention from the both of us. Yip! Bath time and first thing in the morning we put her between us in bed and chat. It’s super sweet. What do you enjoy most about your current set up? That I can be home and work so I get to see or at least hear my baby. What’s the biggest challenge about your current set up? Sometimes she wants to be with me all the time or I will hear her cry in the other room and want to go to her. It’s not great, especially when you have a deadline looming. What about time for yourself? Do you take timeouts? What do you get up to and how often? I do every now and then. I like going to the shops for a bit of a look around and maybe a self-spoil and I like doing that sort of thing alone. Let’s talk about dinner – who handles dinner in your home? Shane and I try take turns cooking dinner, but I do cook more often than him. Top tip for the work/motherhood balance? I try make sure that work doesn’t cut into my end of day Nina time. I try get everything done before Maggie leaves so I’m not on my computer when it’s just Nina, Shane and I. Sometimes it doesn’t happen that way because stuff has to be done, but I do try my best to stick to that rule. And always have chocolate in the house, it helps in every situation. Have you heard about The Rabbit Who Wants to Fall Asleep: A New Way of Getting Children To Sleep? Basically it’s the book that everyone is talking about at the moment, kids of not and it managed to top the Amazon charts. In The Rabbit Who Wants To Fall Asleep you will follow Roger The Rabbit when he gets help from Uncle Yawn and other friends to fall asleep in the evening. Apparently your babe is quickly compelled by the story and falls asleep when you read it or after. 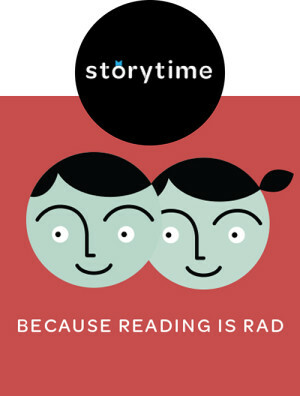 The story is in a lovely way sleep-inducing and helps children all over the world to fall asleep. According to Amazon, “No need for How-to skills, it’s as easy and simple as reading a normal bedtime story with improved language pattern that will help your child to relax and fall asleep. 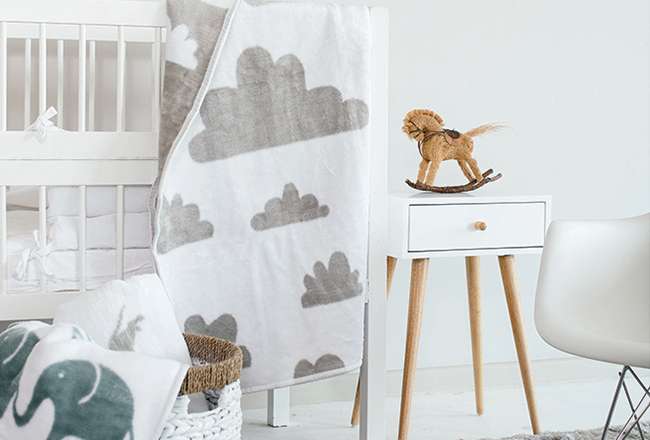 After massive feedback from parents all over the world it’s safe to say that The Rabbit Who Wants To Fall Asleep is a quick and guaranteed way to help your child relax in the evening or during a nap. What do you think? 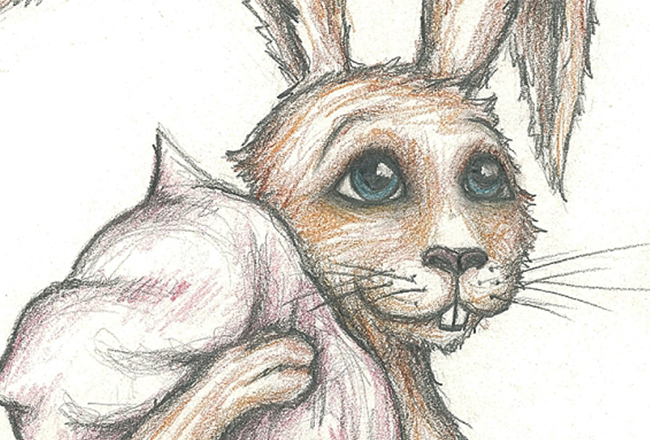 Have you tried The Rabbit Who Wants To Fall Asleep? Would you buy such a book? I must admit I am intrigued, if nothing else. Nappy bags are wonderful but mine is always completely full – toys, change of clothes, extra blanket, hat, towel, muslin etc etc and that isn’t even starting on everything one needs for changing a nappy! I found I could never find anything – yes there are side pockets but the cream is always in a different pocket to the one you are looking in and onc eyou have found the nappy everything else (that toy, that change of clothes, that extra blanket, that hat, that towel, that muslin etc etc) ends up unpacked! 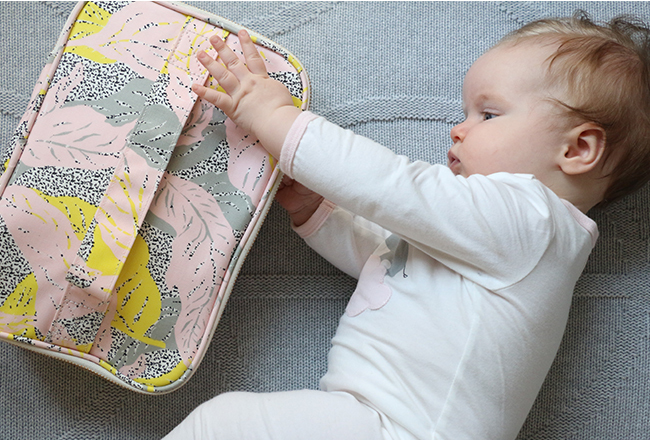 So I created my own on-the-go nappy changing kit to throw in my bag and it’s changed my life! I chose a Country Road toiletry bag which easily opens up and everything is perfectly visible. Inside I always carry nappies, bum cream, wipes and nappy bags. If I am headed out I just throw my on-the-go kit into my nappy bag, at the bottom of my pram or even just in the car if I am dashing to the shops (you can always add a towel or change of clothes in too). Happy weekend lovely mamas. We’re in for a good one – it feels like spring in Johannesburg which means less knits and bunny suits and more bare legs and sandals. We’re all in a post-birthday haze as we celebrated the twins’ birthday yesterday with a happy party in Kimmy & Bear’s garden. If you don’t know about Little Love then we are about to make your day! Little Love is our latest online shopping discovery which stocks kids and baby apparel and decor. It’s cool, design aesthetic is which has us loving it – think awesome wall decals, pastel building blocks (which I could resist for Francie Sugar and her cousins) and the sweetest scatter cushions. 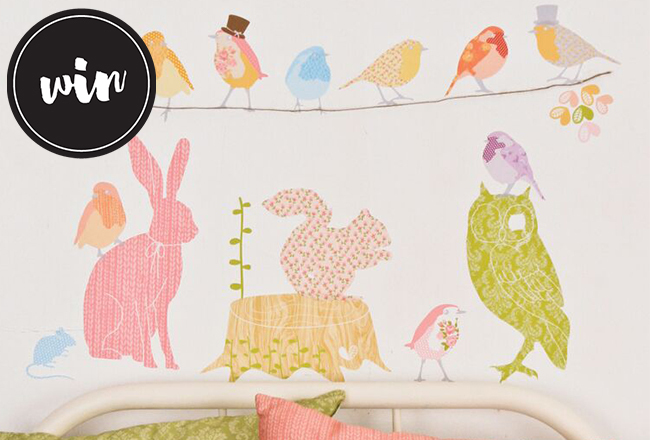 And we have more good news: Little Love is giving a Kimmy & Bear reader the chance to win a Forest critter fabric wall decal valued at R750. And the the best part is the winer gets to choose between the ‘girl’ or ‘boy’ decal depending on your preference. To enter is comment below telling us why this wall decal would suit your babe’s room. First up is Kelly from Jeankelly . Every component in the Jean Kelly range is sourced and manufactured in South Africa. They use only the highest quality leathers. All products are made in local factories or by small teams of woman from communities who take great pride in the beautiful items they produce. The Jeankelly range consists of locally made leather products. We make handbags (nappy bags), ballet pumps and sandals. 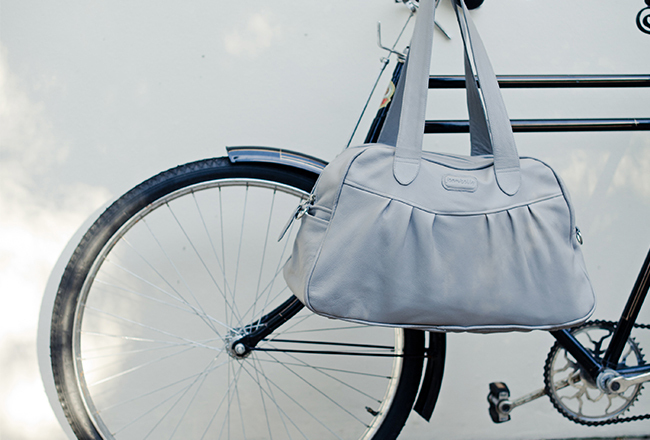 Our range is designed and manufactured in Cape Town, made from only the best quality leathers and materials. We aim to produce trendy yet classic footwear and handbags which last. I have always had a love for natural products and design, thanks to my mom who started her own all-leather baby shoe company. I’ve been able to draw on her experience when starting my own range, which has proven invaluable. The insights I’ve received have given me a real head start. How does your business fit your lifestyle? Growing up in a family business producing leather baby goods, it is an intrinsic part of me to try create beautiful products for babies and mums. I am a very family oriented person and the families (especially new parents) that I meet through Jeankelly excite me and that’s what drives my passion for the business. My favourite product is the genuine leather Jeankelly caramel shopper, with its classic, stylish design, this unique bag is perfect for every day or work use for many years to come. It is definitely a worth while investment. Jeankelly is offering all Kimmy & Bear readers t R125 off online at Jeankelly, using the discount coupon jkspecial when you check out and there is also currently a special online where you get a free pair of Jeankelly genuine leather ballet pumps with every bag purchased. Also see Jeankelly at Rock a Baby on 27 September.